The Invicta Dynamos would like to express their deep gratitude to fans and commercial partners for stepping up at our hour of need. Just a number of weeks ago, we came to you all with the stark reality that we needed more financial backing in order for the club to see out the remainder of this campaign, but also for seasons to come. This is why we launched our Crowd Funding campaign and we couldn’t have been supported any better by our own wonderful fans, but from fans from clubs up and down the country, successfully hitting our £5,000 target within the first 48 hours of the campaign. 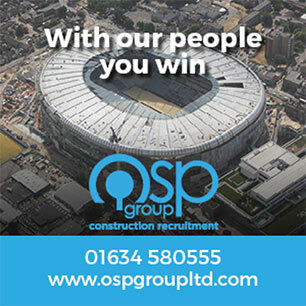 The Crowd Funding campaign was just the start of our restructure off the ice, with our new commercial packages proving to be popular and we’ve made announcements in recent weeks that both Alliance Trade Services and OSP Group Ltd have come on board as partners. Our fans forum provided us with an insight into how we could look to put the club on a firmer financial footing and you will see at games that we will be joined by a number of prospective commercial partners, local school children, players from the junior sides and students. All these new initiatives are aimed at connecting the club with the fans of the future, as we look to spread the word of how great ice hockey is. A lot of work has also been going on behind the scenes to improve the matchday experience and it’s important to us as a club to give something back. This is why we brought back the ever popular Teddy Toss for Demelza Hospice Care for Children at this weekend’s game against Raiders. The introduction of “Chuck-a-puck” and a scrimmage involving the Under 9 Buckaroos and Under 11 Stampede are just a few initiatives that we will be rolling out in the coming weeks and months as we look to re-engage with our loyal fanbase. On the ice our Head Coach Kevin Parrish continues to explore opportunities to add to the roster and these efforts resulted in the recent signing of forward Lewis English who settled in quickly with a goal and an assist in his first weekend. 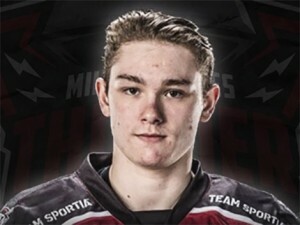 Parrish remains committed to sourcing another import forward, having come close on a couple of occasions, in addition to further British players as soon as possible but is determined to find the right fit for the team given the associated expense. 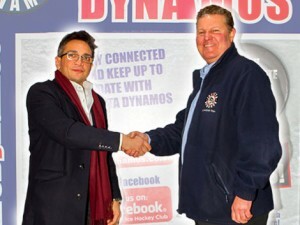 As the saying goes, Rome wasn’t built in a day and the team behind the Dynamos will be looking at how we can improve the business off the ice in the short, medium and long term, to provide the platform for us to be successful as a club for many more years to come. With the fortunes of the club also having turned a corner on the ice and a crucial win at Milton Keynes last weekend, there is a renewed sense of optimism around the Dynamos. We’d urge you to continue to get behind the club and the best way you can do that is by coming to support the team, starting with our local clash against Raiders on Sunday evening. There will be an announcement coming very soon regards a visit to Bluewater, giving fans the chance to get on the ice with the Dynamos. Thank you one and all for your magnificent support. We are Dynamos!